MULCHEO® Natural is a spruce wood chip, exclusively derived from the forests of Vosges. It does not contain any recycled waste and has not been chemically treated. MULCHEO® was developed to protect and highlight small plants in gardens. Its perfect calibrated size decorates landscapes and makes them look clean for years. ORGAMULCH® is a spruce mulch, exclusively derived from the forests of Vosges. This mulch does not contain recycled waste and has not been chemically treated. ORGAMULCH® decorates landscapes and makes them look clean for years. It is recyclable and compostable after its usage. COPEO® is chestnut mulch derived from sustainably managed forests. 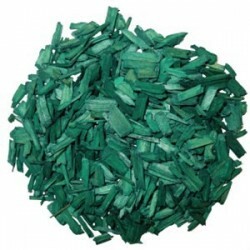 Its characteristics provide durability and efficiency to this natural and ecological mulch. 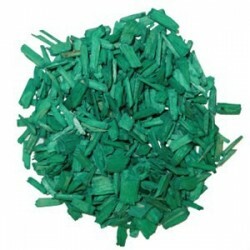 This mulch is especially adapted for the protection and decoration of large plants. Its calibrated appearance makes your landscape look nice and clean. PAILLEO is a mulch of pure shredded cereal straw. Selected logs are crushed and then compressed under pressure (approximately 80 bar) with temperature increase approaching 75 ° C. It is clean; it breaks down easily and provides plants with more of what they need to grow. Particle size is 8 mm diameter. Its life expectancy is 12 to 18 months.